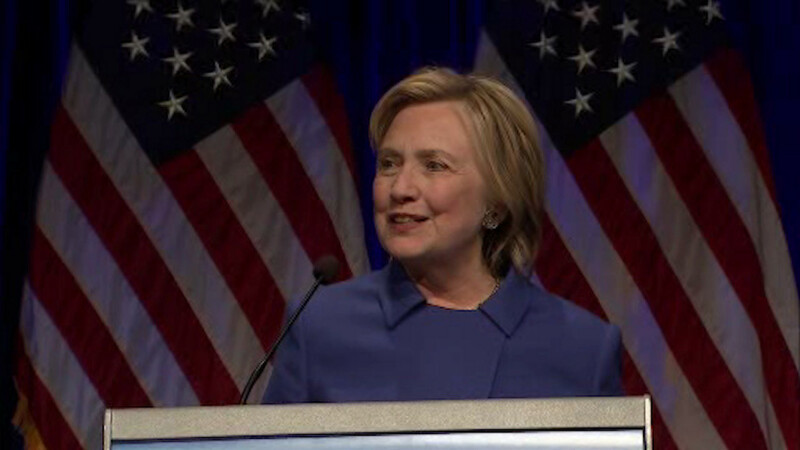 WASHINGTON (WABC) -- Former Secretary of State Hillary Clinton made her first public speech just one week after conceding in the presidential election. Clinton was at the Children's Defense Fund Gala in Washington, DC. She accepted the invitation before the election and admitted Wednesday night that it wasn't easy to attend, but says she was inspired by the work of the group's founder, Marian Wright Edelman. "I will admit, that coming here tonight wasn't the easiest thing for me, there have been a few times this past week when all I wanted to do was just curl up with a good book or our dogs and never leave the house again. But, if there is anyone who knows how to pick yourself up and get back on your feet and get to work, it is Marian," Clinton said. Clinton also urged her supporters to not lose hope, and to not give up on the values they share.